Animal testing is still the industry’s best-kept dirty secret, as many consumers will continue to shop for cosmetics from companies like Urban Decay and the Body Shop under the assumption that their products are cruelty free. The truth, however, is altogether harder to swallow as the profits made by these two companies can be used to fund L’Oreal’s animal testing divisions, pay for the construction of its new “research facilities” in China, and to fund their lobbying activities to delay an EU-wide ban on the sale of animal tested products. 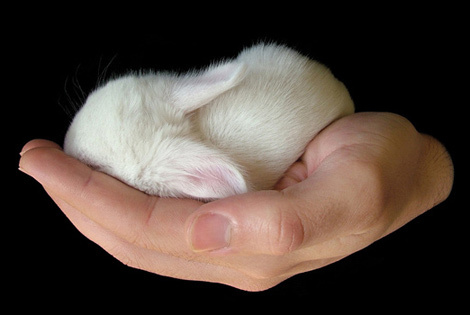 In March 2013, a total ban is supposed to come into effect preventing the import of personal care products into the EU containing animal tested ingredients, which would mean all personal care products sold in the EU would be cruelty free. However, according to recent media reports, the large multi-national companies, one of which is L’Oreal, have persuaded the EU Commission they will not be able to meet the deadline and it’s likely the ban will be delayed until 2019! It is a huge betrayal that the funding for L'Oreals lobbying activities to delay the ban could come from the spending of The Body Shop and Urban Decay consumers, who misguidedly believe they are purchasing cruelty free products. L’Oreal is the largest cosmetics and beauty company in the world and continues to profit from animal testing. Not only does L’Oreal test on animals, it uses its huge influence to continually try to halt progress on EU cosmetics legislation. Naturewatch is calling for absolute transparency in this matter as companies like the Body Shop and Urban Decay are managing to overcome animal testing concerns by being economical with the truth. Even companies that don’t have an ethical animal testing policy respond to one simple ethic - where you spend your money!